No matter where you live, if you’re a homeowner, you probably see your fence in the morning when you leave for work and again in the evening when you return home. If you are considering replacing your fence, you should definitely consider installing a chain link fence. Low cost: In today’s economy it makes sense to go with whatever will give you the most bang for your buck. Chain link fences are affordable, especially when compared to more ornate wooden designs. Why spend extra money when you don’t have to? A chain link fence is a long-lasting solution for any fencing problem you might have. It is inexpensive when you install it and even less expensive to maintain in the long term. High resilience: Normally a lower price would be associated with a lower quality, but this is not the case with chain link fencing. Chain link fence is typically made from galvanized steel, which is highly durable and resistant to corrosion. If you’re looking for something to match the vinyl of your house, you can also choose vinyl-covered steel. Regardless, you will never have to worry about insects eating your steel, as you would with wooden fencing, or the wind blowing your fence away, as you might with lightweight plastic. Additionally, you will never have to re-stain or repaint your chain link fence. Cleaning is easily done with soap and water. Security: Chain link fence is the strongest type of fence a homeowner can install. It provides a level of security that is second to none. With chain link fence you can go to sleep every night knowing that you, your loved ones, your pets, and your property are all safe from unwanted visitors, whether they are intruders or wild animals. Easy installation: Installing chain link fence is fairly easy. Posts are installed at regular intervals and the chain link fence is attached to it. If the thought of installing fencing intimidates you, you can also look for companies that install fences in northern Virginia. Hercules Fence is one such company. We have been providing professional fence services and installation throughout Northern Virginia since 1955, and we are more than happy to answer any questions you might have! We can handle all of your residential fencing needs, from Custom Wood Fences to Ornamental Steel Fences to Ornamental Aluminum Fences to PVC Vinyl Fences to Chain Link Fences and more. We take great pride in our work. So why would you call anyone else. 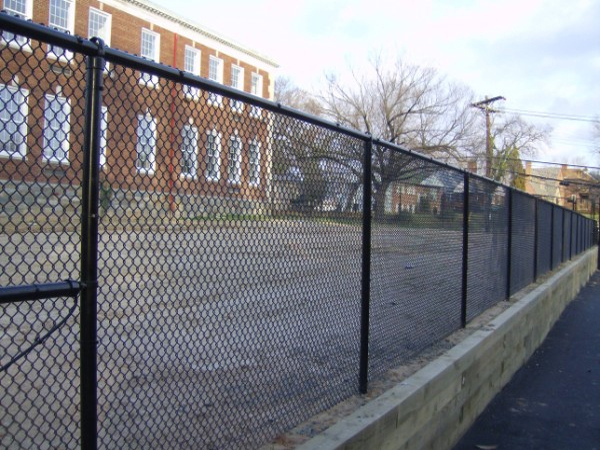 If you have any questions about our blog, “The Benefits of Chain Link Fences,” please contact Hercules Fence of Manassas, Virginia today by calling (703)551-2609 or visiting our website. Also, check out Hercules Fence of Manassas on Facebook,Twitter, Google+ and YouTube! This entry was posted on Thursday, June 27th, 2013 at 1:48 pm. Both comments and pings are currently closed.